Chris Octane, Lynx, Loxy, Exygen, Icicle and more. We’re excited to bring you the tenth installment of our ShutUpAndListen Mix Series. 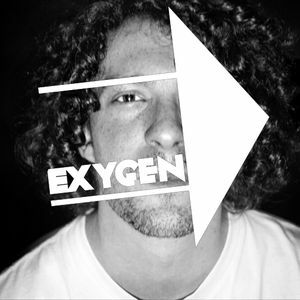 This time Leeds based DJ, Producer and Skater Exygen steps to the decks to bring an hour of his favorite tunes from DnB, Dub, Ambient and Jungle - a selection of deep vibes. &apos;The mix is recorded half on MP3 software and half vinyl. I don&apos;t really like the idea of mp3 mixing software, cos the fun part of mixing for me is the physical side (using the decks and mixer as an instrument) and you don&apos;t get that in anyway from clicking a mouse! The only reason I used it was to showcase a couple of my newest tunes that I&apos;ve just got mastered by Chris Octane (of Octane & DLR) - I&apos;m pretty hyped on that at the mo, ha! Otherwise I would have gone with a completely vinyl set... cos I don&apos;t have access to CDJ&apos;s...and, well vinyl&apos;s vinyl."